New Daily Sale customers can grab a FREE pair of Crystal Stud earrings! 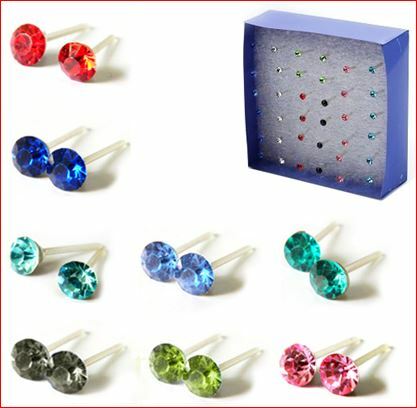 Each Pair of Color Crystal Stud Earrings is made from colored crystal rhinestone on acrylic hypoallergenic posts, which is great for anyone with metal allergies! Each pair is randomly selected from the following colors: Red, Ruby Red, Dark Pink, Pink, Baby Pink, Peach, Amber, Champagne, Lemon, Mint, Emerald, Dark Aqua, Powder Blue, Baby Blue, Cerulean, Sapphire, Lilac, Grape, Violet, Wine, Brown, Grey, Black, and Clear. Deal ends on 4/14/13.